All solutions to provide an aquatic physical activity at all valid public, to sportsman to unsportsman, 17 to 87 years old. All solutions offer the PMK or disabled broadening their living environment. All solutions provide to the PMK and the disabled a physical activity in pool. and sportive activities for the public and the disabled people. 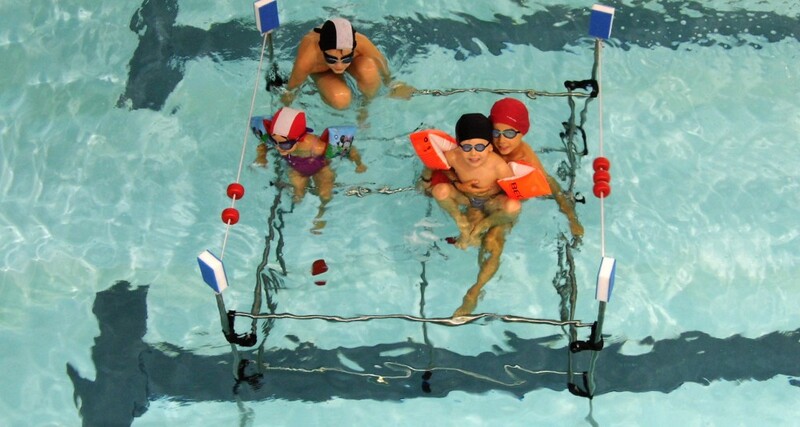 in order to specialize swimming teachers in your aquatic center all over the world. Aquafit, what is it ? Tiredness: the aquatic pressure activates venous and lymphatic circulation, it accelerates blood lactic acid elimination and eliminates the impression of tireless. The incomparable wellness during the movement in the warm water. 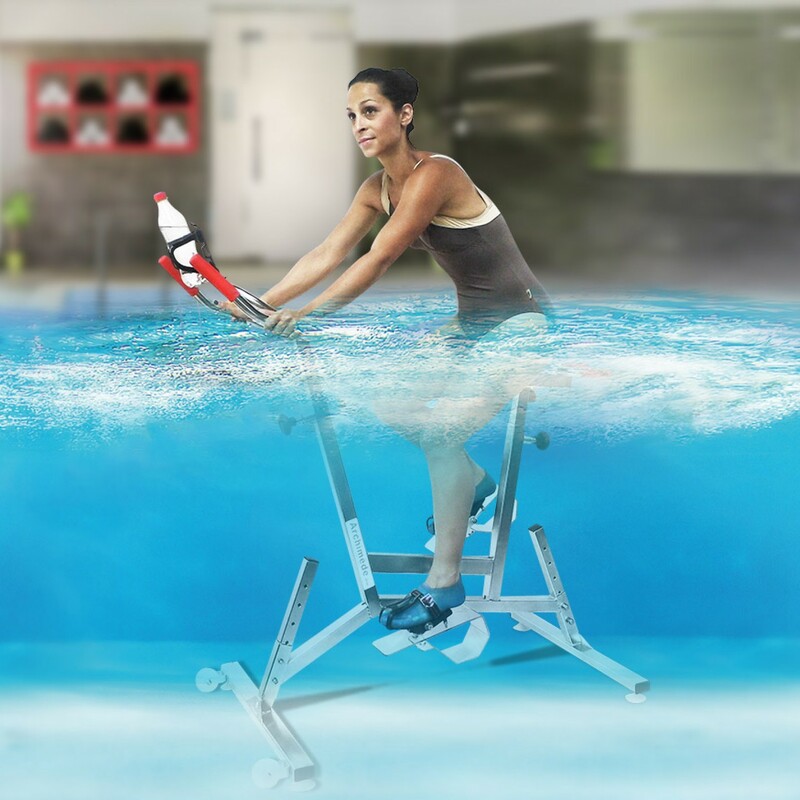 The aquabike has been created in Italia in the years 2000 in the therapy centers for person taking the water cares. Its market has been developed to the public in the west Europe. The public find a soft sport improving physical condition with aquafitness. 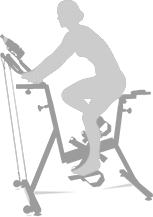 Aquafitness takes a benefit of the Archimede principle: “every corps immerged in fluid receives from this fluid a vertical push up equivalents to the weight of the displaced volume”. from the sport man to the aged people. In the water, this is the execution speed which regulates the resistance. from the sport man to the aged people. It is appreciated by the women. By definition it is a pleasure sport. The no traumatic character of the aquafitness makes it to interest reeducation people specially the surgery of the joints and bones. 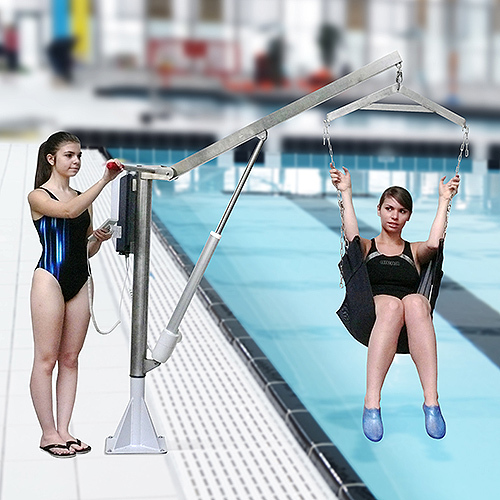 Consequently Archimede – aquafitness proposes a complete range of specific devices for each type of population. see hmsrehab.com (handicap mobility solutions).